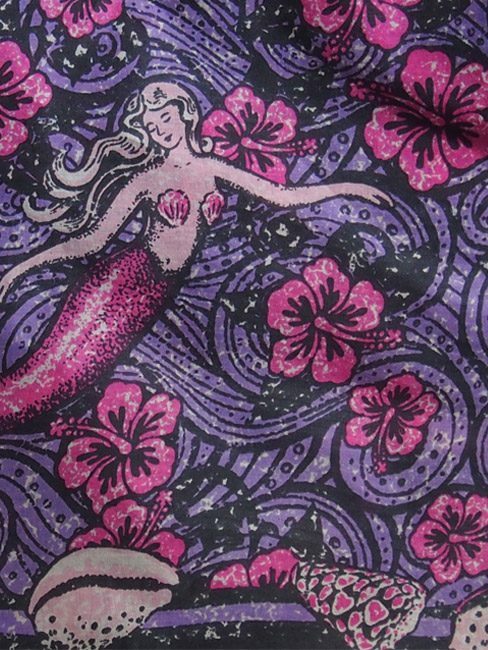 The Print: Dreamy mermaids floating on a sea of hibiscus and swirly water patterns. the idea came to me in a dream after swimming in a tropical lagoon with my lady friend. A cotton sarong is perfect for the beach or resort wear. You may also know them as a beach wrap. Cotton voile sarongs can be used as a beach cover-up or even as a towel to dry yourself off with. Tie them into a dress, skirt or as a shawl to keep the summer sun off your shoulders.